I made a bust display for my mother's handknit scarves. 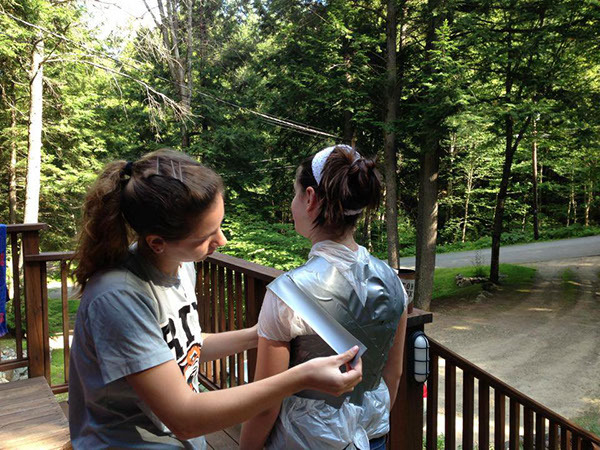 To create the bust, I wrapped my sister in duct tape to create a mold. From there, I stuffed the mold with newspaper and plastic bags, inserted a hanger, and covered it in fabric to create a smooth surface. 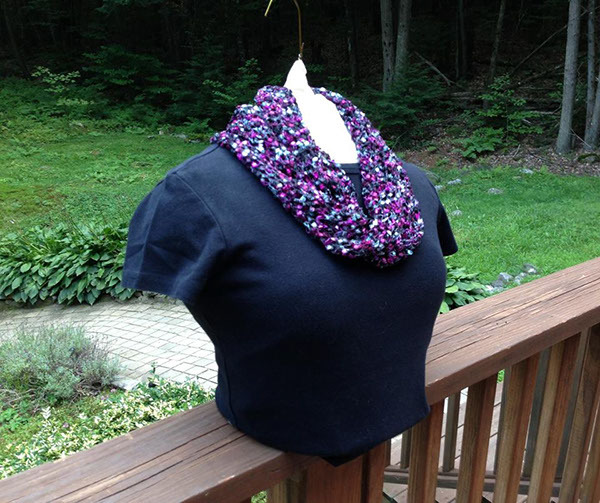 A bust display for scarves.